The Multi-coloured Gold Necklace, made with 22 KT gold with a stone weight of 18.55 is designed with a rare air and has a regal touch to it . It adds a pop of prettiness to your outlook and acts most advantageously when paired with a heavy, traditional attire. 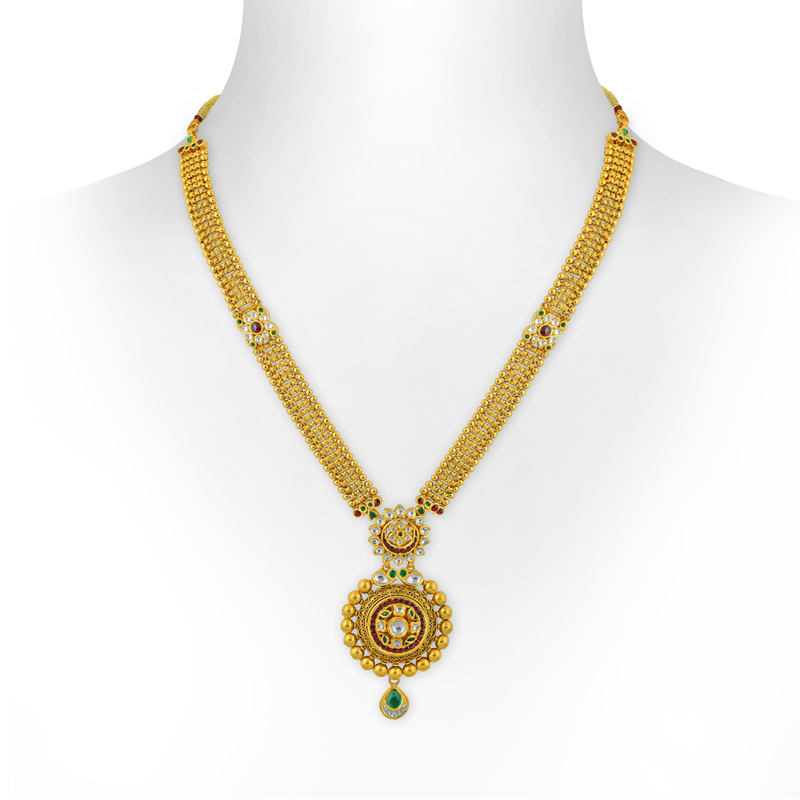 On the next wedding invitation that comes your way, be sure to complete your look with this enticing necklace.